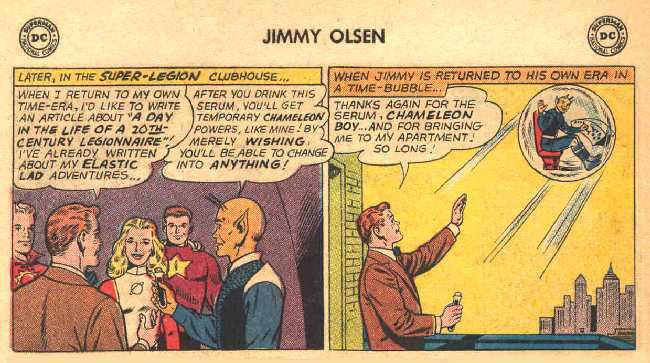 SUPERMAN'S PAL JIMMY OLSEN NO.85 (June 1965) Cover by Curt Swan & Sheldom Moldoff. "Love Me, Love My Beast" by Curt Swan & George Klein. "The Adventures of Chamaleon Olsen" (LSH) by John Forte. 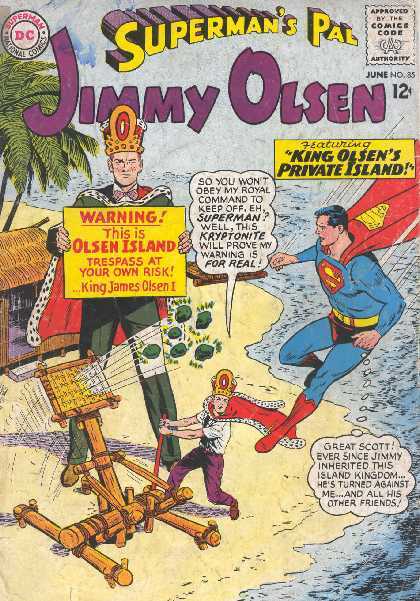 "King Olsen's Private Island" by Curt Swan & Shelldom Moldoff.